You can now expand your Neo System with the Heatmiser neoPlug, this innovative device allows you to control appliances throughout your house from anywhere. 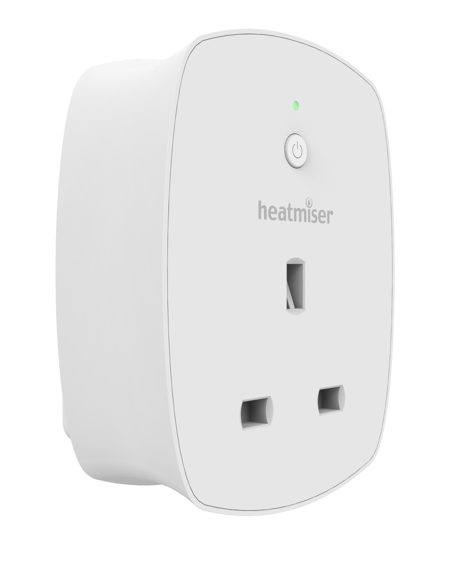 Using the Heatmiser neoApp you will be able to control your appliances from anywhere in the house, you will even be able to program in switching times which the appliance can follow. If you are a iOS user then you will be able to take this convenience one step further, as the app features a triggering Geo Location which means your appliances will be able to switch on when you get close to your home. Manual & Timed Control You can program 4 on/off times via the neoApp and you can manually control the appliance locally or via the app. Geo Location Trigger your appliance via the iOS Geo Location feature. Wireless Repeater The neoPlug also acts as a wireless repeater for the RF and Neo Systems, extending the communication distance around your home.